The original “Check for Bikes” cling, AS&R’s safety initiative. What is it? Go to ww.checkforbikes.org to find out more! 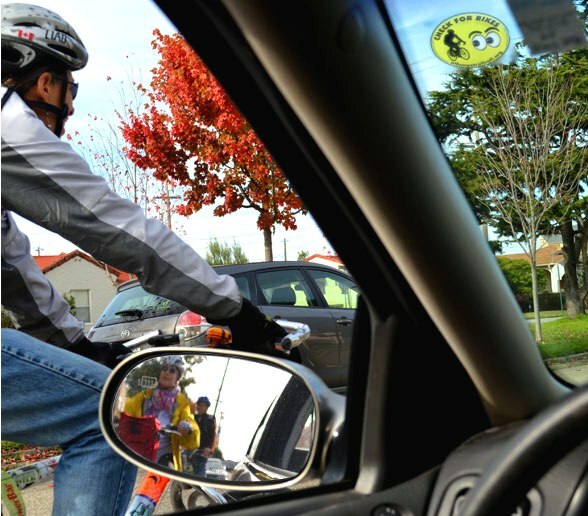 The original “Check for Bikes” windshield/window cling reminds drivers to look for bicyclists before they open their door or make any sudden move – please pass them on to friends, family, neighbors & colleagues! Albany Strollers & Rollers member Lynn Eve Komaromi came up with a great idea about how to spread the gift of cycling safety by including Albany Strollers & Rollers ‘Check for Bikes‘ clings in her cards – why don’t you do the same? 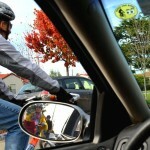 These are clear, repositionable, vinyl clings for drivers to put on the inside of their windshield or window – a simple and friendly reminder to watch for bicyclists on our roads while driving. AS&R members – your neighbors – conceived and designed these, and you can buy any quantity at 5 clings for $1. 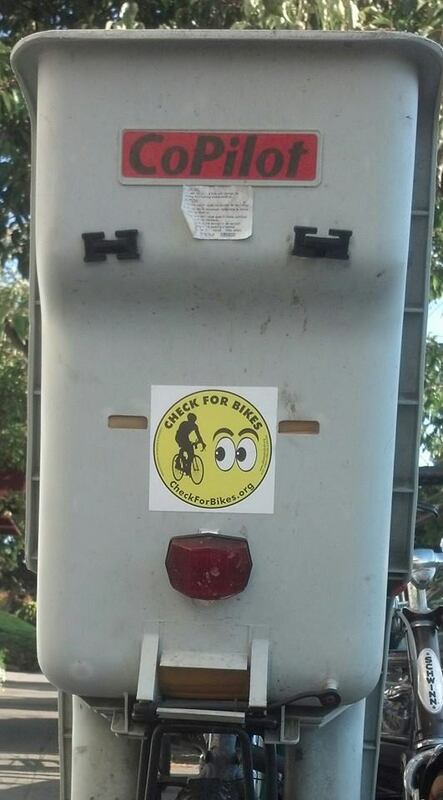 A bike child seat is the perfect place to put a “Check for Bikes” bumper sticker! Pass ’em on! 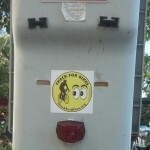 We also have NEW bumper stickers, which are great to put on helmets, bike toddler seats, trailers, and yes – car bumpers! For the cost of a few lattes or a beers you could help keep cyclists (yes, you!) safe out there on the road! Email Amy Smolens at calamari@alumni.duke.edu to get them or if you have any questions.